Collaboration is a huge challenge in multi-vendor projects within the design and construction environment. Sorting that out, Building Information Modeling enables swift design implementation while focusing on facilitating collaboration between teams and simplifying information between contractor, engineers, architects, and design teams. Outsource2india provides a highly intelligent, strategic process to analyze required insights for creating and managing building and infrastructure projects in a more reliable, faster and economic manner. Working on this relatively novel concept, we provide BIM services to a wide range of clients including engineers, architects, technicians, fabricators, contractors, and building owners. Adding new dimensions to the construction industry, O2I provides Architectural BIM, Structural BIM, and MEP BIM services to cover the entire lifecycle of a building project right from pre-construction concept stage to various construction stages to completion. Our adept engineers are highly proficient in Autodesk Revit and give a more holistic perspective on the project with visible value-adds at every level. As the use of Building Information Modeling moves beyond the planning and design phase and improves all related processes including project management, cost management, construction management, and facility management, O2I offers a customer-centric approach to build a better information channel between these aspects while focusing on long-term, sustainable and effortless management. O2I's BIM engineering services is flexible and can accommodate changes at the design stage while making project planning & scheduling simpler and easier. We take a highly structured approach to keep processes tractable and cost-efficient. Outsourcing Building Information Modeling services presents many benefits because our implementation method ensures that the project stays problem-free and true to the client expectations. Why Choose O2I as your BIM Service Partner? It is important that every element of design is communicated to people involved in building their vision. To ensure better workflow and quality, Outsource2india oversees the development of Building Information Modeling tasks, and has a dedicated team to define quality and accuracy, and create necessary architectural services for any information based model. Our production staff and engineers are trained on Revit and work directly with architects, engineers and building operators to create the most accurate building information models . Hence outsourcing BIM services to us can spare you from further hassles. There are many other features of BIM than stated above. 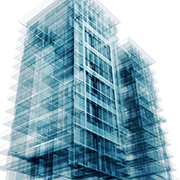 Read more about the importance of Building Information Modeling. Read the case study to know how O2I Provided Revit Modeling Support to US-based Fuel System Giant for Mission-critical Projects. A leading Switzerland-based architectural firm wanted our team to provide them with flawless REVIT modeling services. Our team of architectural engineers provided the services within a quick turnaround time. With 20 years of unmatched experience, O2I offers leading building information modeling services in India because we use the newest and most advanced versions of Autodesk Revit to deliver our global clients, computer-generated models with accurate geometry and details. Our experienced engineers provide the necessary drawing, design, and support services to engineering, construction, and architectural firms. Additionally, we ensure that the final design matches the requirements perfectly. Read the case study to know how O2I Provided Top-notch BIM solutions for Top Saudi MEP Services Leader. We deliver projects from our state-of-the-art global delivery centers and can even work as an extension of the client's team. With happy clients in the US, UK, Australia, and other countries around the globe, trust Outsource2india with your Building Information Modeling requirements to get the job done right - from inception to completion. Contact us today to outsource Building Information Modeling services so our experts can take care of your needs no matter what they are.